Most of the operating systems’ problems are recorded in the System log. Sometimes it’s more convenient to use the Event Viewer, while at other times PowerShell is quicker. I am going to show you two methods to research the System log entries, they work really well in tandem. By that I mean the Event View will teach you about PowerShell. 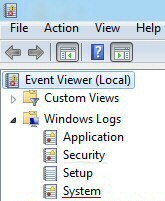 To get started with the Event Viewer press Winkey +w, this launches the Search box with the focus on Settings. Now type: "ev" you should see ‘View event logs’. 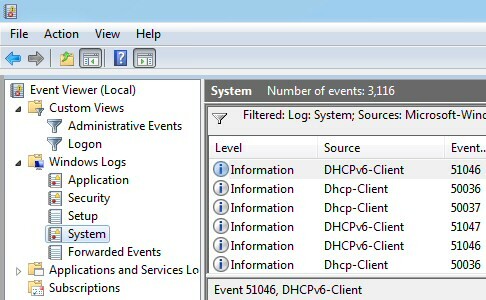 Once the Event Viewer has initialized if you expand ‘Windows logs’ you can see ‘System’. Starting from the Metro UI, start typing: ‘Pow’. You should see two PowerShell Apps, I prefer to select the ISE version because it has a GUI. There are two cmdlets for displaying the logs; Get-EventViewer and Get-WinEvent, in either case remember to specify the -LogName. Note 1: The parameter -MaxEvents 20 is merely to speed up the command because the system log can be huge, and when testing you may be anxious just to get results. Alternatively, you can use Get-Eventlog cmdlet with its -Newest parameter. This is an old-fashioned, but easier to use cmdlet. 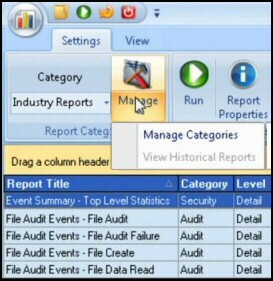 Orientation: You are in the Event Viewer, you pre-select the System log. 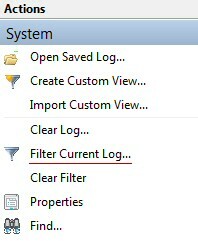 Now, go to the Actions pane to the right and click on ‘Filter Current Log’. Typical Microsoft, there are at least 3 ways of employing PowerShell to filter the logs. My favourite, especially for learning is to pipe the output of Get-Eventlog into a where statement. Note 3: Windows Event ID 50036 means the DHCP Client service started (and 50037 means it stopped). Researching a PowerShell cmdlet with Help is surprisingly instructive, in this instance it shows that Get-WinEvent has a parameter called -FilterHashTable parameter. However Help also reveals that Get-Eventlog does not. 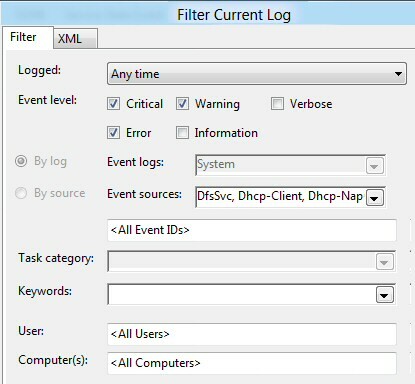 This page explains how to research the System log entries with both the Windows 8 Event Viewer and PowerShell v 3.0 Our examples showed how to filter events with the Action pane, and also how to use PowerShell’s -FilterHashtable parameter.